Within decision-driven organisations that address water management and conflict mediation, there is much to be learnt about the role of women. At the provincial organisational levels, women’s participation in water management decision-making processes is more prevalent, while there is a gender disparity at the higher levels of the governing domain. Filling this void will bring greater perspective to water issues and challenges; bring recognition to a wider range of potential solutions; showcase women in multifaceted roles; and expand networks to better help address immediate, mid-term, and long-term concerns. 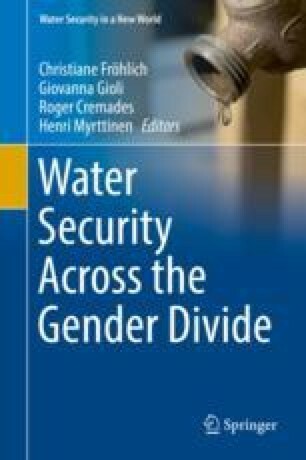 The academic literature tends to categorise the role of women working in water, in terms of their contribution to community health; or their contribution to rural communities, in developing countries. Missing is the role of women as brokers of transformation within the water decision-making sphere. While many governments and nongovernment entities have emphasised women’s participation, efforts to achieve gender equality as a fundamental component emerging out of conflict towards peace and security, needs to be applied with conviction. Until a gendered approach to water management is applied as a matter of principle; and the gender gap in economics, politics, property rights, and cultural roles are closed, the valuable voice of at least half of the global population remains silent or underutilised in the process of conflict dispute when it comes to the world’s more than 300 transboundary freshwater shared resources.